With 83.7 million passenger base, Beijing Capital International Airport stood at 10th position in the list of Skytrax World Airport Award. Beijing Capital is the second busiest airport in the world. The airport has three terminals that serve 88 domestic and 69 foreign cities around the world. After Dubai International airport, the terminal three of the Beijing capital is the second largest terminal in the world. 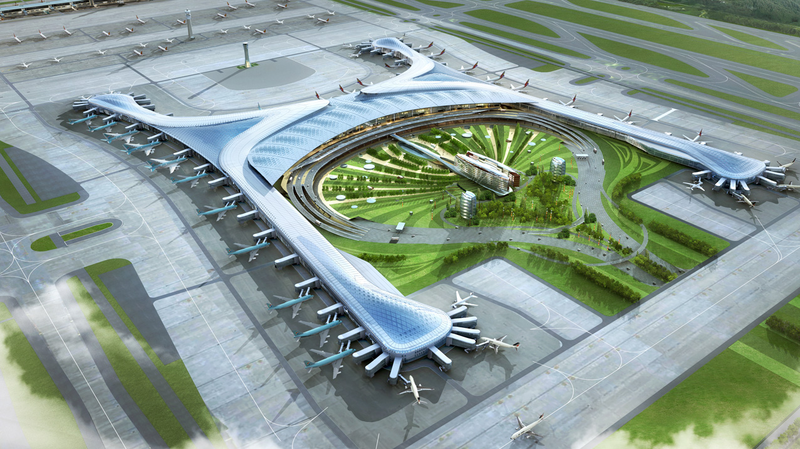 Beijing capital however, plans to be the world’s largest airport by 2018 spread in an area of 7.5 million square foot. Being in operation since 1916, Amsterdam Schiphol acquired its name from a former ancient fortification call as Fort Schiphol. It is one of the busiest airports in Europe with 52.6 million yearly passengers. Schiphol is famous for its various leisure activities along with a library meant for flyers waiting for their flights. The airport also offers planning services for the weddings for the people who want aviation related venues. The Schiphol airport is based on a single terminal concept that splits into three huge departure halls. Heathrow Airport is the third busiest airport in the world with yearly footfall of 72.4 million. It is one of the primary airports among six airports that serve London. The airport has 5 terminals, 4 are passenger terminals and 1 is cargo terminal. As per the Skytrax survey, terminal 5 of Heathrow airport is the best airport terminal in the world. Heathrow has also been the world’s busiest airport in terms of international passengers, the title to which is now owned by Dubai airport. Heathrow acts as the prominent hub for British airways and Virgin Atlantic. Heathrow Airport was started in 1929 as a small airfield which was developed into an airport as big as it is now in 1944. The Central Japan International Airport made its way to Startrax’s top 10 best airports in the year 2015 by jumping up from its previous rank of 12 to 7. Also known as Centrair, the Central Japan International is built on an artificial island near city of Nagoya in the middle of Ise Bay. Centrair holds the title of the best regional airport in the world as well as in Asia. According to Skytrax, Almost 9.8 million people travelled through Centrair in the year 2014. The Central Japan started its operation in the year 2005 and has large domestic traffic share. The airport has a 100 foot long sky deck that allows passengers to watch ships sailing in the Nagoya port. Zurich Airport is the largest international airport in Switzerland with 24.9 million passengers who travelled via Zurich airport in the past year. It is the home to the Swiss International Airlines and a hub that links Zurich to rest of the Switzerland. The airport has three terminal as well as three runaways. For passengers with long stop, Zurich airport offers bicycle and inner-skate on rent. The Haneda Airport was opened in 1931 and is one of the two main airports in Tokyo area. Due to its proximity to the capital city of Japan, Haneda is popular choice with the business travelers and tourists. Haneda is world’s fourth busiest airport with 68.9 million passengers in the past year. The airport is known for its efficiency, shopping and cleanliness. The airport boasts of two domestic terminals and one international terminal. Haneda is hub for two major airlines of Japan, Japan Airlines and All Nippon Airlines. Hong Kong International Airport is yet another airport in our list that is built on an artificial Island. The airport has served one of the most important facilities since it was opened in 1998. It is one of the busiest airports in Asia with 59.6 million passengers traveling annually. Hong Kong international also serves as world’s busiest cargo gateway with 100 airlines operating flights flying to 180 locations worldwide and 44 locations in Chinese continent. Munich Airport is the second busiest airport in Germany after Frankfurt and also a major hub for Lufthansa German Airlines, Air Berlin and Condor. The airport serves two terminals that connect Munich to the destinations all over the world. The Munich airport looks more like a shopping Mall with more than 150 retail stores and around 50 places to eat and dine, offering passengers a lot of stuff for recreation. Former winner of best airports in the world, Incheon International Airport stood second in the list for third year in a row. The airport is located on an island near South Korean capital, Seoul and is home to Korean Air. The airport was opened in the year 2001 and handles up to 40 million passengers annually. Incheon is also named as the cleanest airport in the world as well as the best international transit airport for the year 2015. The airport boasts of its Korean Culture Museum. The airports also provides ample of options for shopping and dining. Having the crown of best airport for the third running year, Changi airport tops the charts. It serves as hub for Singapore Airlines, Tigerair and Silkair and serves over 200 destinations throughout the world by the 80 international airlines. 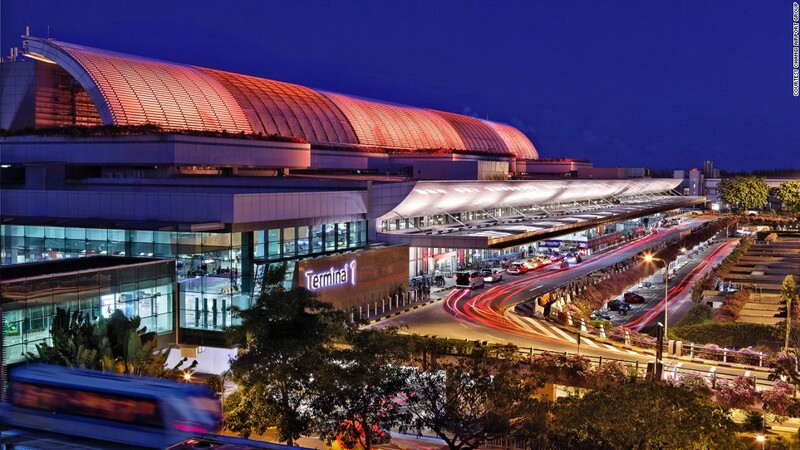 The changi airport receives praise from travelers from around the globe for its exquisite architecture, systematic operations and splendid facilities with enormous choices of dinning and shopping. The airport has also won the title of Best Airport for Leisure Amenities.